Twi’lek’s are some of the oldest and best loved aliens in Star Wars; they are also some of the most varied in representation within the movies and TV shows. This post is part of a series braking down Twi’lek’s from the movies and TV shows. Compared to all other Twi’lek’s, whether for the Original Trilogy, Prequel Trilogy, or in any of the other Star Wars media, Orn Free Taa is drastically different then all the others. Where all other Twi’leks from both the original and prequel trilogies, as well as all other Star Wars media, have five fingers. Orn Free Taa has three, this is never explained as to way. Below is a picture of Orn Free Taa next to Cham Syndulla, it is very clear that Cham, a typical male Twi’lek, had four fingers and a thumb and Orn Free Taa has three and a thumb. Where all other Twi’lek’s represented in Star Wars media have two Lekku, Orn Fee Taa has four; two that hang on either side of his face and over his shoulders, and two that hang down his back like regular Lekku. Orn free Taa has humanoid ears like other male Twi;leks, however, his are much smaller then any of the other male Twi’lek’s, strangely small in fact. This goes for his live action movie as well as the cartoon. Orn Fee Taa has pointed teeth, yellow eyes, regular body color and skin patterning, he also has pointed humanoid ears, however, as mentioned above, they are much smaller then other Twi’lek’s ears. So why these differences? A theory could be just about anything, elective surgery, a terrible accident, born with a birth defect? We may never know, whatever the story is, it has got to be interesting. The Most likely reason for Orn Free Taa looking this way and the differences from other Twi’lek’s is what they say about the character. All costumes and character desinges tell us something about them, Orn Free Traa is no exception. The idea behind his character is excess, he has excess in everything about him, even down to having twice as many Lekku. Twi’ek’s have a widely varied representation in Star Wars; eyebrows are one of the facial features that seem to vary a little. Pretty much all female Twi’lek’s have human-like hair eyebrows, Oola, Aayla, the purple Twi’lek singer Lyn Me, Hera, Numa and more all have this feature. Males on the other hand seem to have large and heavy brow that protrude out from the forehead. Bib Fortuna has one of the largest brows seen in Twi’leks. Cham Syndulla and other male Twi’lek’s seen throughout Star Wars Rebels and The Clone Wars also seem to share this heavy bulbous brow. And also do not appear to have hair on their brows. The shapes of Twi’lek teeth tend to follow to veins, female Twi’leks tend to have flat human-like teeth. Aayla Securra, Hera, Oola and others all have these kings of teeth. Male Twi’lek’s tend to have pointed teeth, like Bib Fortuna and Cham Syndulla, however, a little Twi’lek boy from the Clone Wars has flat teeth. It seems that male Twi’lek’s may vary between pointed and flat teeth. Twi’lek’s have a rainbow range and more in coloration, they can be any shade of red, green, blue, purple, pink, yellow, and much more. These skin colors can come in modeled combinations or solid. Twi’lek’s typically have lips colored differently than their bodies, however, sometimes a slightly darker version of their body color. Sometimes their lips are the same color as their body, this lip coloration patterning is the same for both female and males. The patterning that appears on many of the Twi’lek’s does not appear to be tattoos, Aayla Secura has light blue specials/dots on her Lekku. Patterning is similar to modeling, however, patterning does not always or even typical cover the entire body, where as modeling typical does. Hera has skin patterning of a lighter green circular patterning on her Lekku only, similar to Aayla Secura. Suu Lawquane, the mother of the little Twi’lek girl with modeling, that appears in Star Wars The Clone Wars: Season 2 Episode 10, has dark pink patterning over her entire body in a dotted-spiral and circular pattern. It is also possible that Suu Lawquane’s skin patterns are actually tattoos. Cham Syndulla has tattooing over his Lekku and face, other Twi’lek’s also appear to have tattooing. As above mentioned, Suu Lawquane might have tattooing instead of pattering, Darth Talon is an example from the Legends EU of a Twi’lek with tattooing. Twi’lek’s are some of the oldest and best loved aliens in Star Wars, this post is part of a series braking down Twi’lek’s from the movies and TV shows. Ears and ear-cones, these are variously listening appendages that Twi’leks have and can sometimes be a little inconsistently represented in Star Wars. 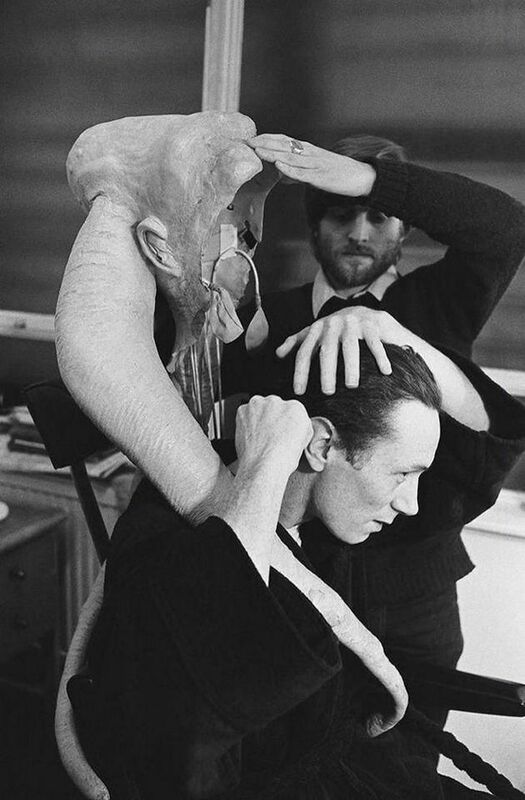 In Return of the Jedi, Bib Fortuna has human like ears, these ears where actually part of the prosthetic that was built for the actor. Oola has a headdress that covers her ears and is where the idea of the ear-cones most likely arose. In the concept art for when Oola’s design was human shows that the white cones are a part of her headdress. 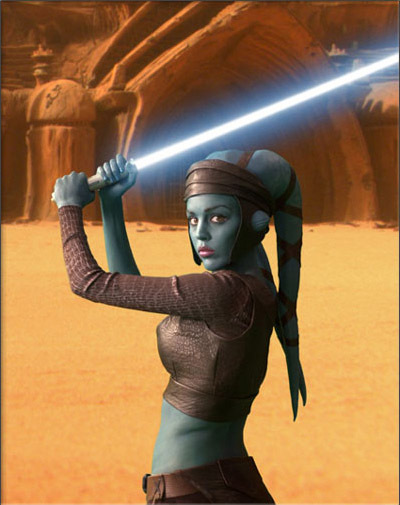 However, since than Oola’s headdress seems to have morphed into ear-cons for female Twi’leks. The purple Twi’lek singer Lyn Me does not appear to have ear-cone, instead her headdress covers her ears and as there are no lumps under the headdress it appear that her ears are likely to be like Bib Fortuna’s and are humanoid ears. Which is why it seems likely that Oola’s headdress is the point origin for ear-cones. Star Wars The Clone Wars has several different episode that future Twi’lek’s heavily, in these episodes the male Twi’lek’s have humanoid ears and humanoid ears with points. It’s possible that the first Twi’lek’s from [Retune of the Jedi] had normal humanoid ears, but Oola’s headdress has been interpreted into ear-cones. (Note: that in concept art as seen earlier in this post, the ear-cons are a part of Oola’s headdress, particularly in her human design.) The idea of Twi’lek’s morphed from what they had stared as in [Retune of the Jedi] and developed into something new. So in this theory the female Twi’lek’s ears have been retconned and now they have ear-cones instead of humanoid ears. It also appears that some of the hats that Twi-lek woman wear have decorative covers that go over the ear-cones. One of the common myths about hairstyles in the Star Wars universe is that these intricate styles are achieved with a person’s own natural (often times long and thick) hair. In reality a combination of wigs, hair pieces and hair extensions, among other techniques, where used to give the length and volume needed for these styles. Princess Leia’s and Queen Amidala/Padmé’s hairstyles are commonly attributed to this myth. However, both Leia’s and Padmé’s hair is achieved through the for mentioned hair help. Within universe the characters achieve these hairstyles with wigs, hair filler and forms among means other than their own natural hair. In [Star Wars: The Clone Wars, Season: 3 Episode: 11, Pursuit of Peace,] a short scene near the end of the episode shows Padmé talking with her handmaiden Teckla Minnau. 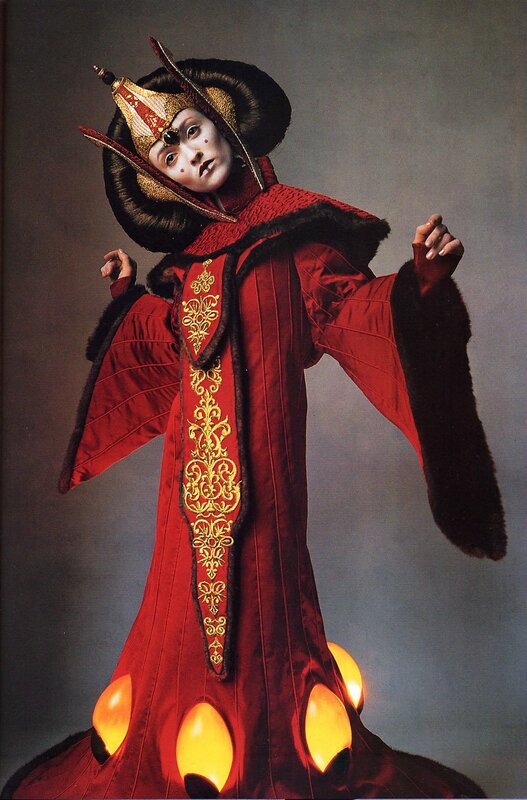 In the scene Teckla is holding Padmé’s senatorial wig/headdress which Padmé wears with her (blue and gold) senate dress from the Clone Wars TV show. A behind the scene photo of Padmé’s [Star Wars: The Phantom Menace] (black Coruscant) wig/headdress from [Padawan’s Guide] shows that the wearers real hair is tucked beneath the wig/headdress. Padmé’s (senate address) headdress from the same movie can also be seen here in makeup-chair, (Also from Padawan’s Guide). 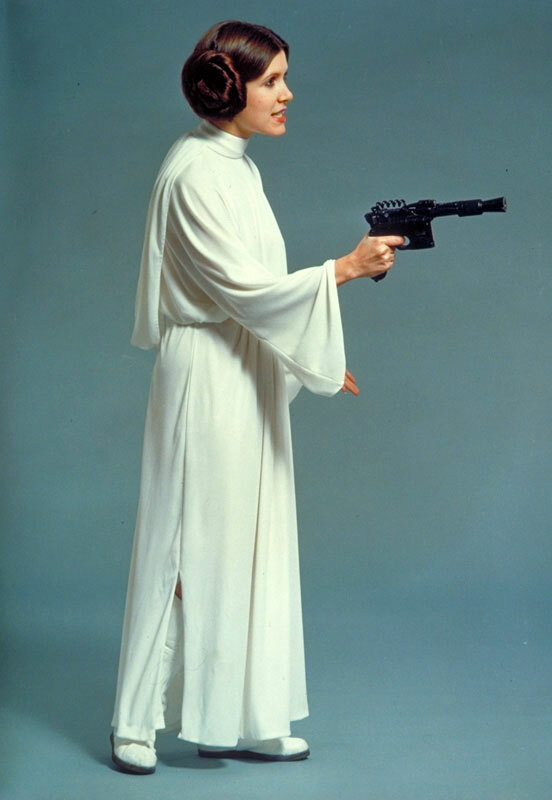 All in all, the notion that Star Wars hairstyles can and only should be achieved by your own natural hair is a myth in our galaxy and one far, far away.